Ladies EE fitting court shoe. Sizes 3-8 including half sizes. 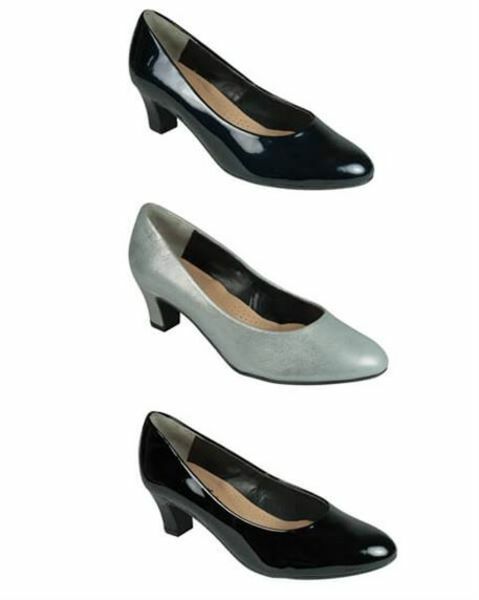 Ladies versatile smart classic court shoe with 2” heel and rubber sole for added grip.The perfect shoe to complete your outfit.